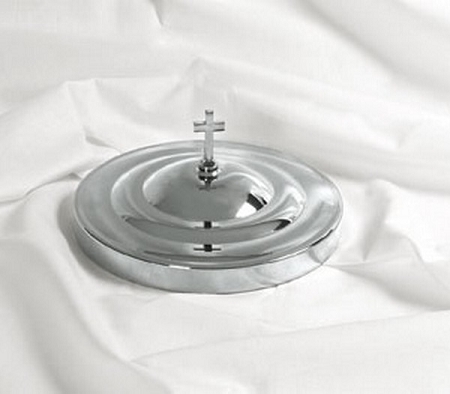 Elegant Handcrafted Silver Toned Communion Tray Covers Make Your Communion Celebration Extra Special! 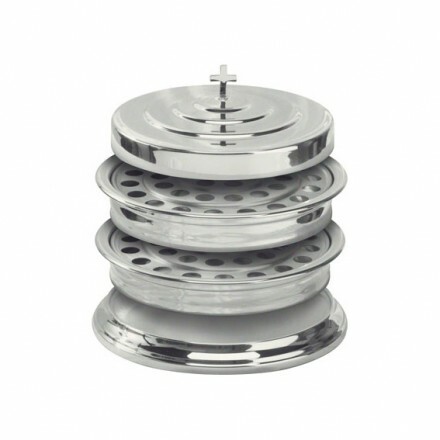 Communion tray covers from Celebrate Communion, feature high-end, food grade stainless steel as do all the handcrafted Communion ware pieces you find on our website. The beautifully high-polished silver shine is achieved through a special anodizing process that bonds the silver finish to the stainless steel foundation. This Communion tray cover is made to fit snugly with over our coordinating silver Communion tray & features a simple, yet elegant, Latin cross finial attached with a stainless steel screw and washer. It is a standard size (2 1/4" high and has a diameter of 11"). Edges are double rounded to ensure a smooth and safe feel to this piece. 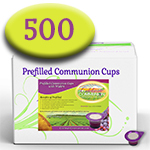 Celebrate Communion's Communion trays are easily cleaned with mild soap and water and a soft cloth. Each piece carries a 5-year guarantee and arrives to you beautifully packaged. 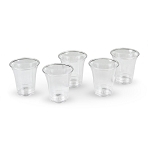 Not sure how many Communion trays, covers and bases you need for your church? Check out the handy chart below and it will guide you towards ordering exactly the right quantities.